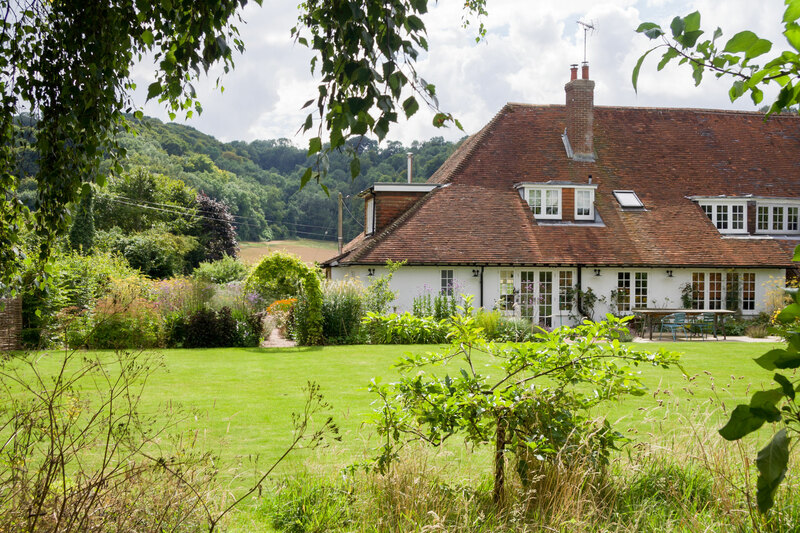 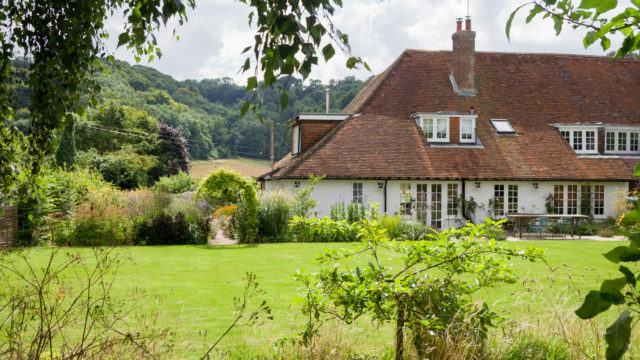 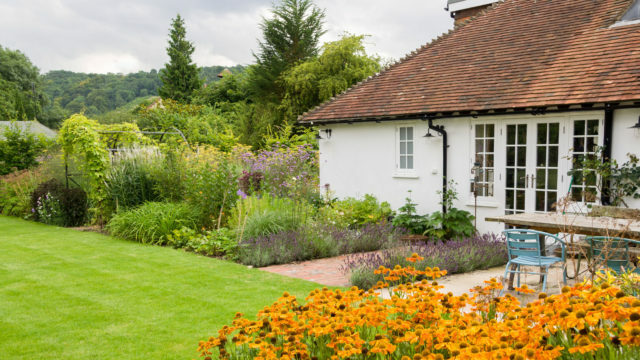 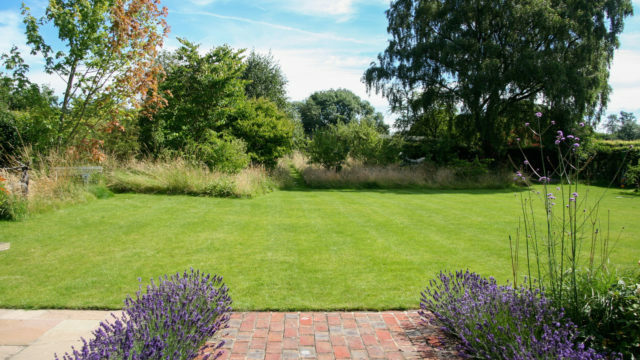 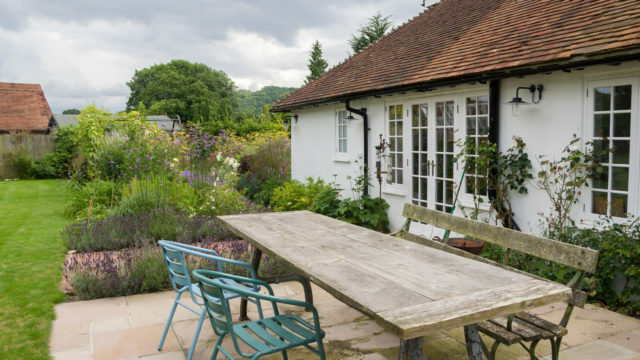 The garden of this country cottage was originally made up of a vast expanse of gravel, a large lawn, an area of trees and an overgrown front garden. 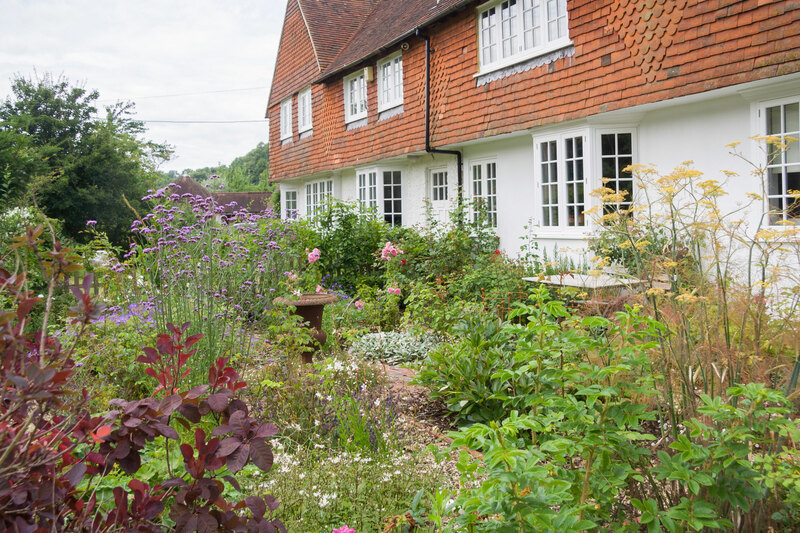 The parking space has been reduced substantially and cars are screened from view by a Hornbeam hedge. 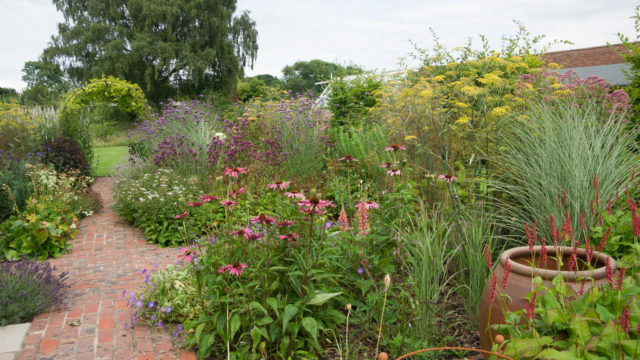 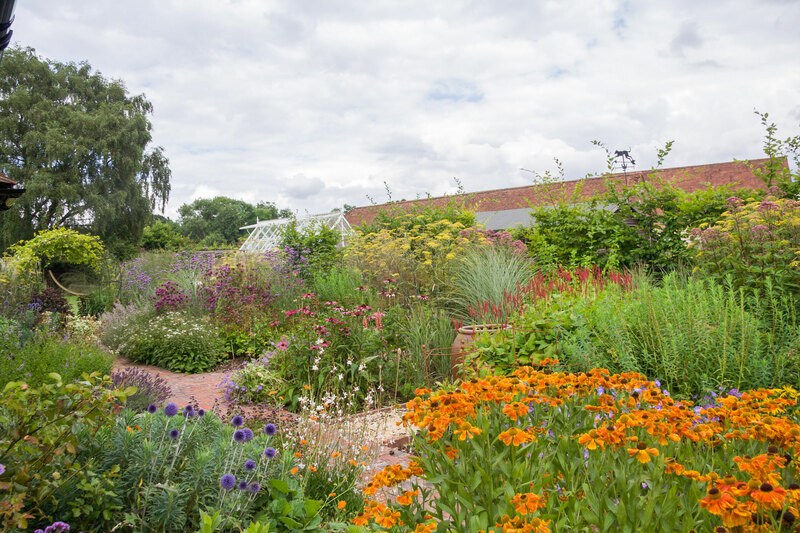 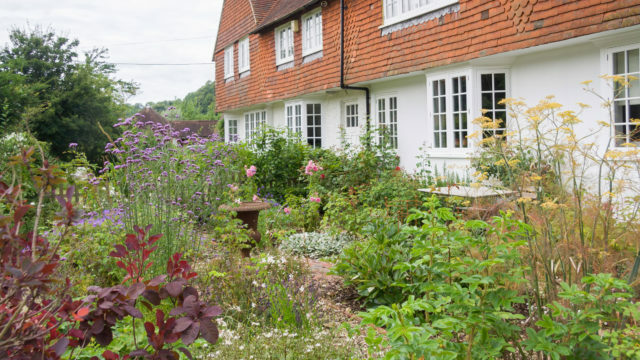 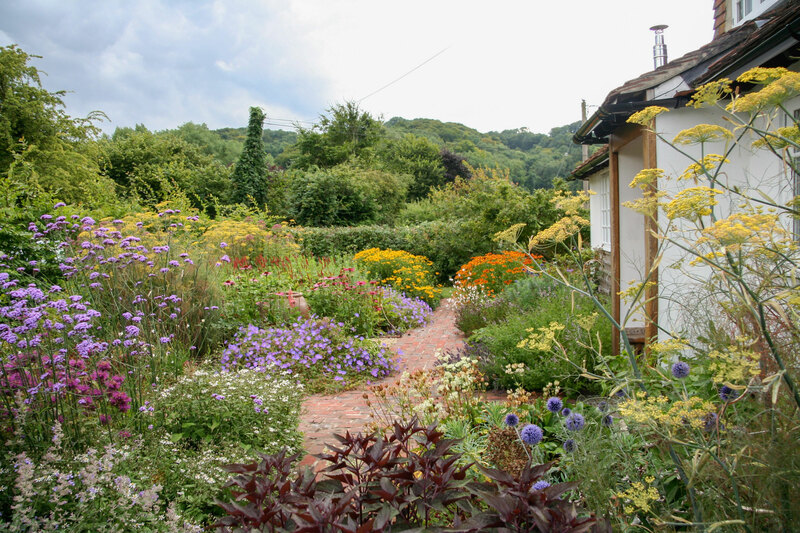 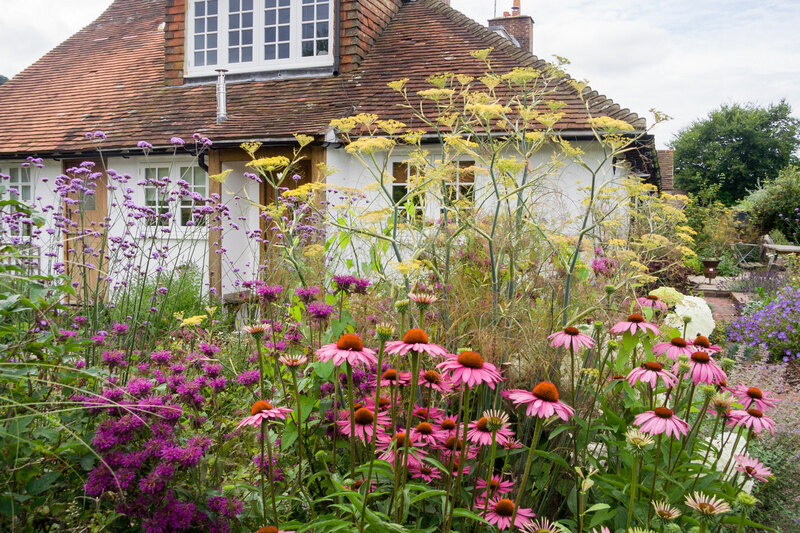 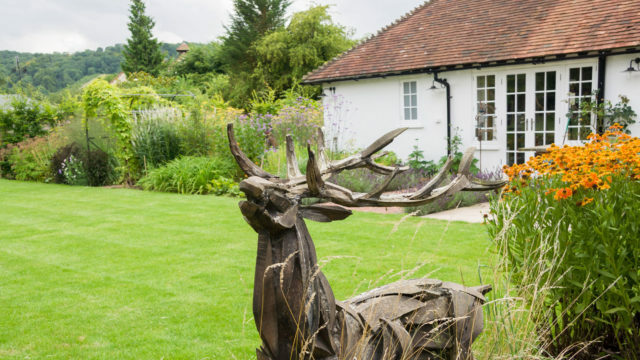 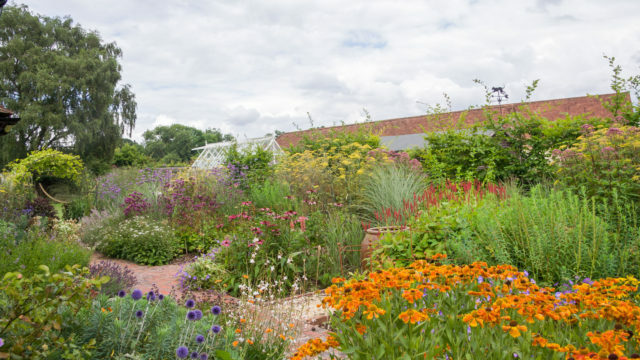 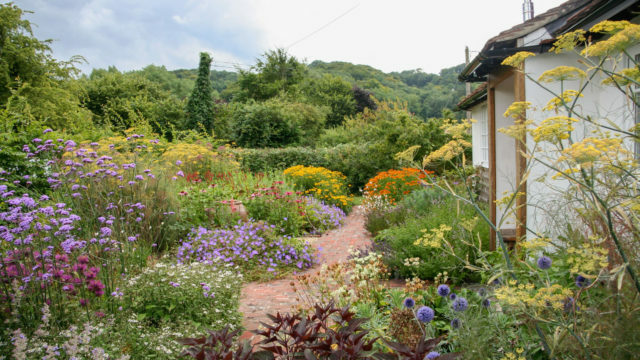 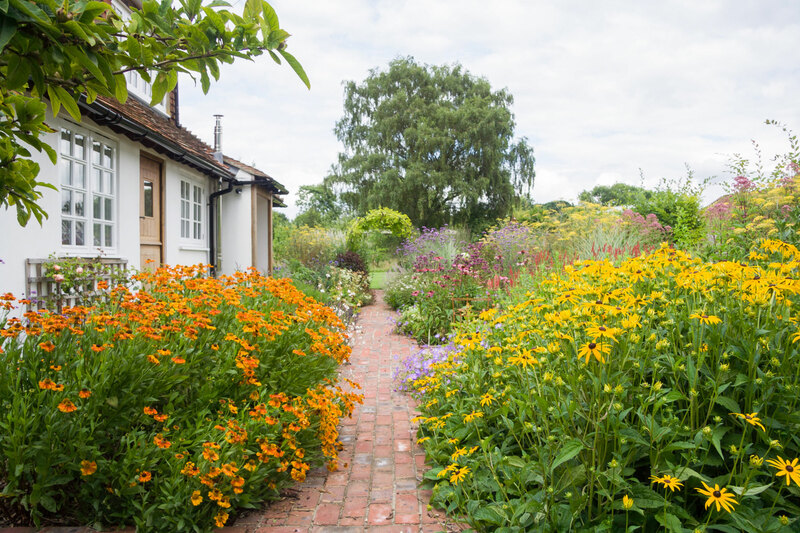 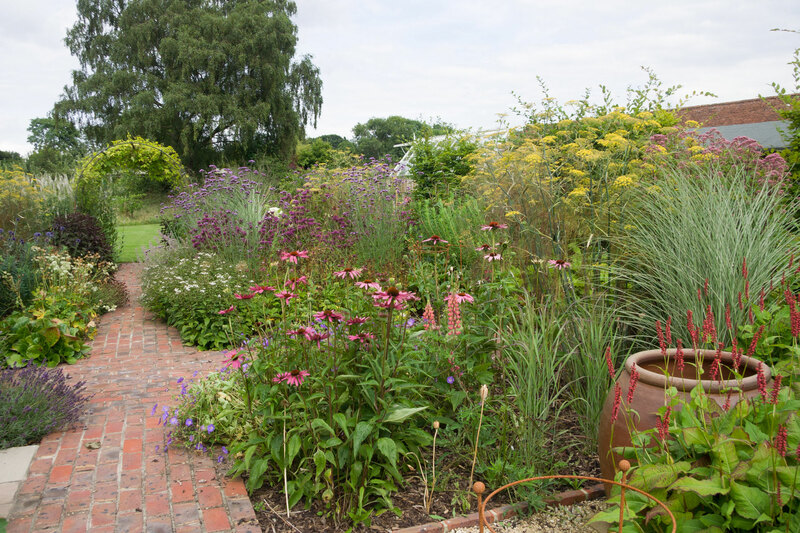 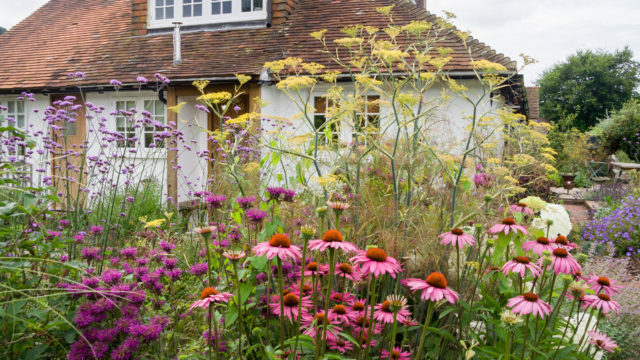 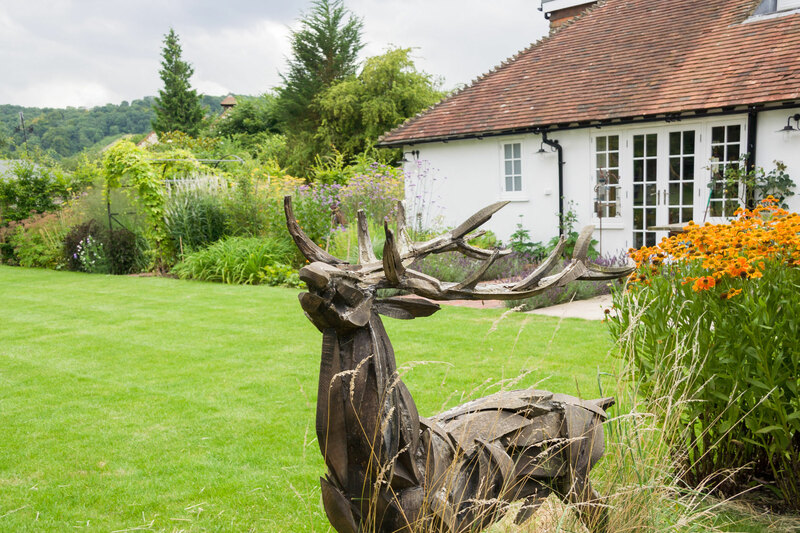 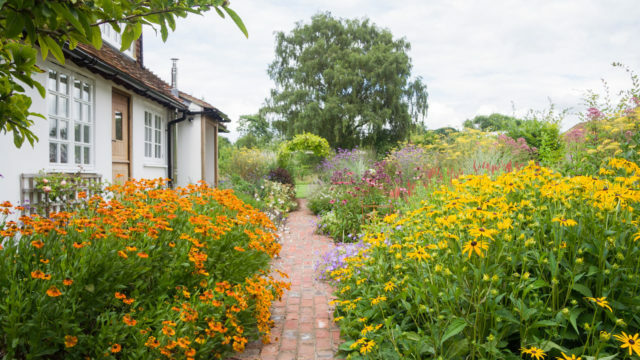 The cottage is now approached by walking along brick paths running through a series of flower beds which are packed with a mix of colourful wildlife-friendly planting wrapping around the house. 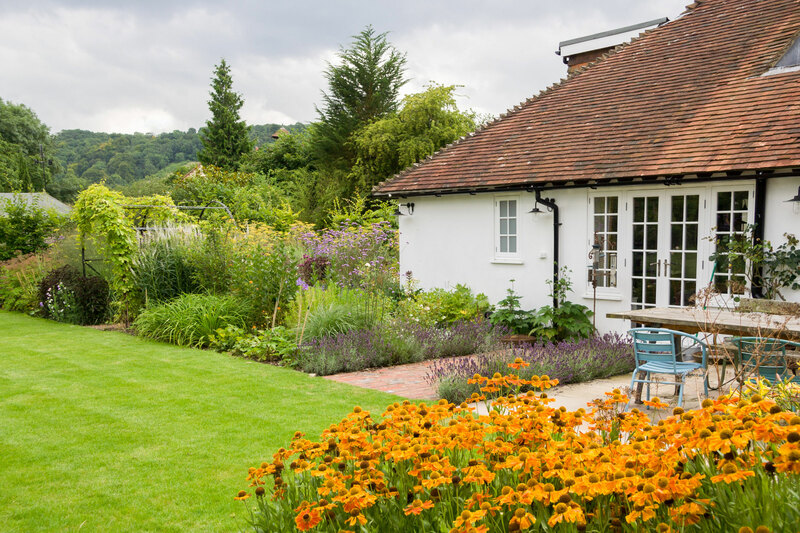 The front garden has been redesigned as a traditional rose garden with views of the hills beyond. 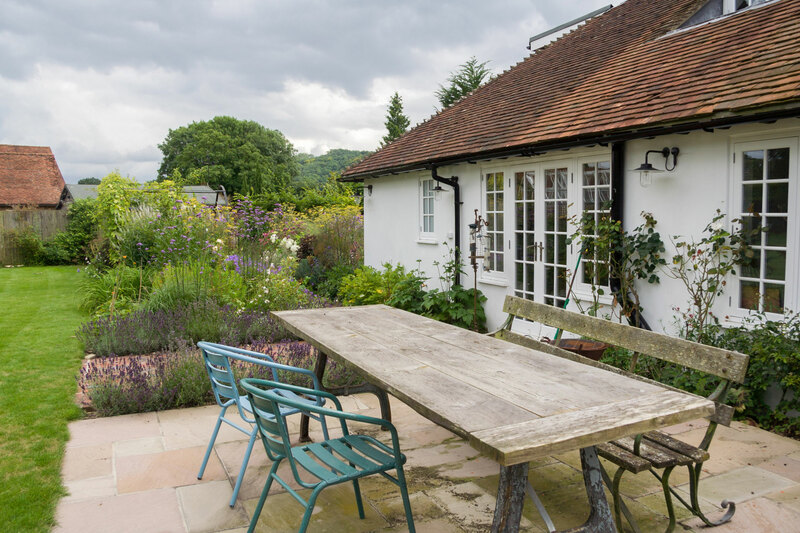 The terrace at the rear of the cottage offers open views across the lawn to the orchard and out to the countryside. 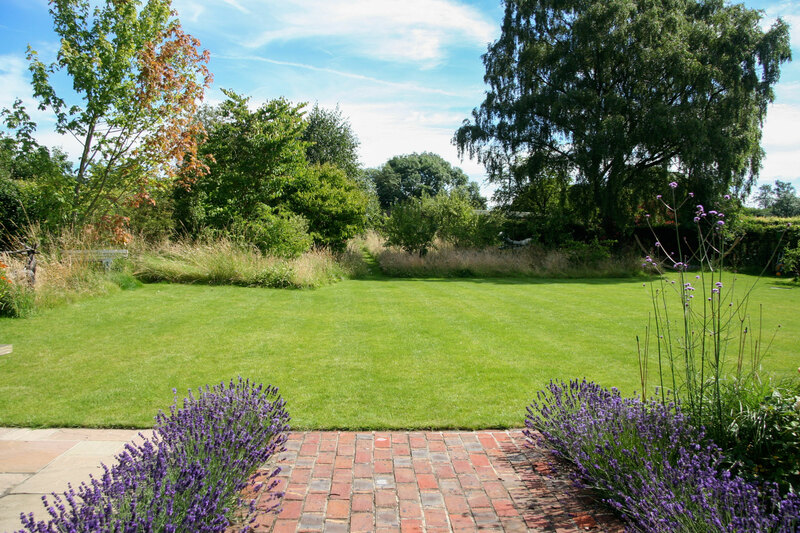 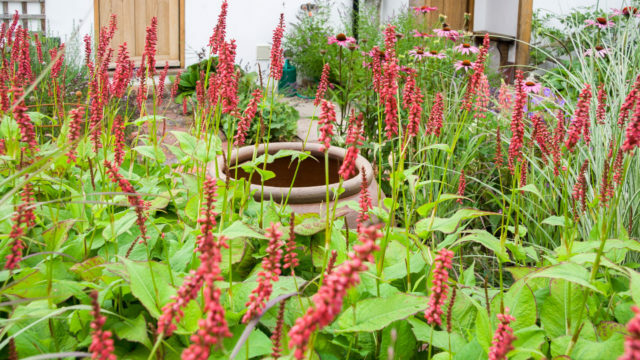 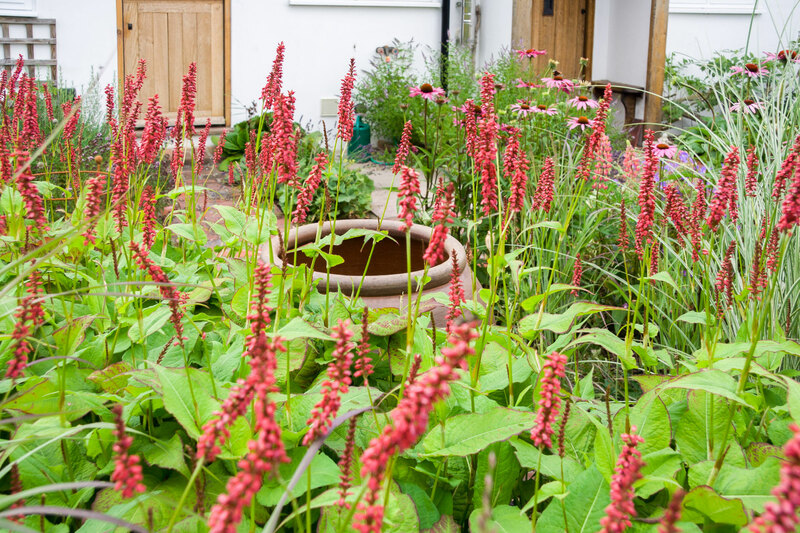 To see images of this garden from start to finish, take a look at the Case Studies page.